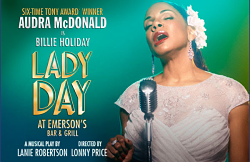 Multi Tony Award-winner Audra McDonald is to make her West End debut as the legendary jazz icon Billie Holliday in LADY DAY AT EMERSON'S BAR AND GRILL at Wyndham's Theatre with performances beginning on June 17th for a limited season through to September 9th . (press night 27th June). This is the second time she has announced a West End production - the original run scheduled for seven months ago was postponed due to her unexpected pregnancy. Prior to Lady Day at Emerson’s Bar & Grill this summer, Audra McDonald will perform four concerts at the Leicester Square Theatre hosted by Seth Rudetsky and featuring her husband Will Swenson as special guest from 12 to 15 April. 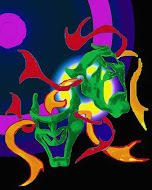 'LADY DAY' originally premiered on Broadway in Spring 2014 at the Circle in the Square Theatre. Spend an intimate evening filled with some of the most inspiring and moving songs ever written and hear the personal stories of Holiday's loves and losses through a turbulent but extraordinary life. With a glorious score featuring "God Bless the Child," "What a Little Moonlight Can Do," "Strange Fruit," "Crazy He Calls Me" and "Taint Nobody's Biz-ness,"